You are here: Home / Life / Health & Fitness / Are You Taking Krill Oil? Are You Taking Krill Oil? Being proactive about your health is really important, and as a type 1 diabetic, I take it very seriously. We all want to be healthy, am I right? Whether you have pre-existing health issues or not, staying in tip top shape is a priority for most people. This usually means eating well, exercising and going for annual physicals. But what about supplements? Where do they fall into the mix? Lately, I have been doing a lot of different things to try to get my health where I want it: I been have sticking to a eating plan that cuts back on the candy and sweets (my weakness) and I have been hitting the gym at least three times a week (I may be slightly addicted to the boxing classes at my local gym). But at a recent appointment with the health-care team that helps me manage my diabetes, they asked about vitamins and which ones I took. I stared back at my nurse and dietician with what I can only image was a fish-out-of-water, mouth gaping kind of look. I don’t take any vitamins at all. Isn’t that what all that kale is for? So we reviewed my diet and worked out what I was missing. And that’s when I was faced with it: fish oil supplements. The words alone filled me with a serious terror of taking pills that tasted like fish and left me smelling fishy all day. So I did a little digging to find out more about krill oil and it turns out, it has a lot of benefits that fish oil doesn’t! What else can OCEANO3 do for you? Well for starters, it will also help you with your LDL and HDL cholesterol levels. And helps maintain your cardiovascular health, meaning those boxing classes of mine are being put to great use. And, it can actually help relieve the symptoms of premenstrual syndrome, a fun added bonus! Looking to incorporate krill oil into your diet? 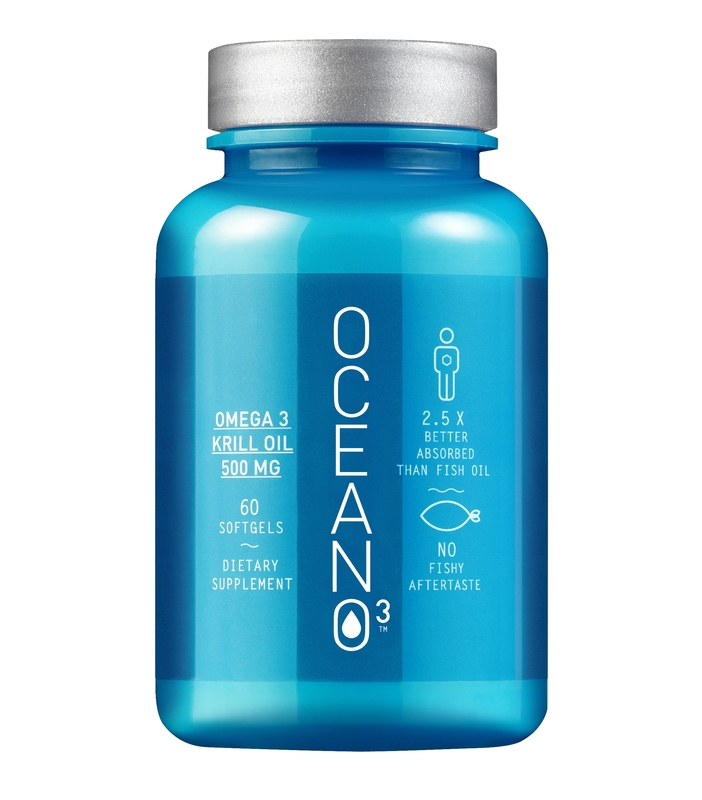 Head on over to OCEANO3 and try out their pure Antarctic krill oil now—only available for purchase online. This post was sponsored by OCEANO3 but the opinions are my own. For more information on OCEANO3 please visit www.oceano3.com.